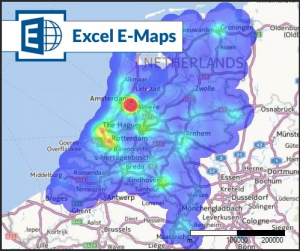 Creating heatmaps is one of the most used features in E-Maps. 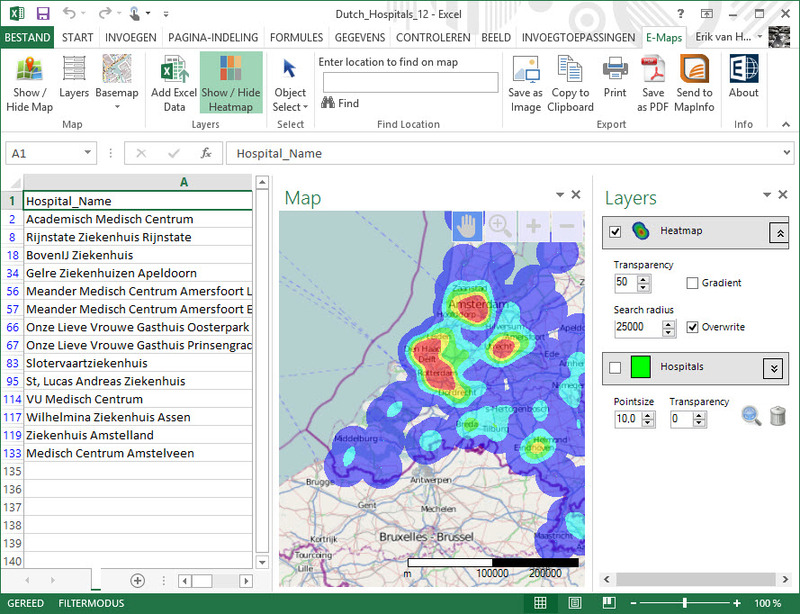 Most of the heatmaps are based on default parameters, like search radius and colour ranges. 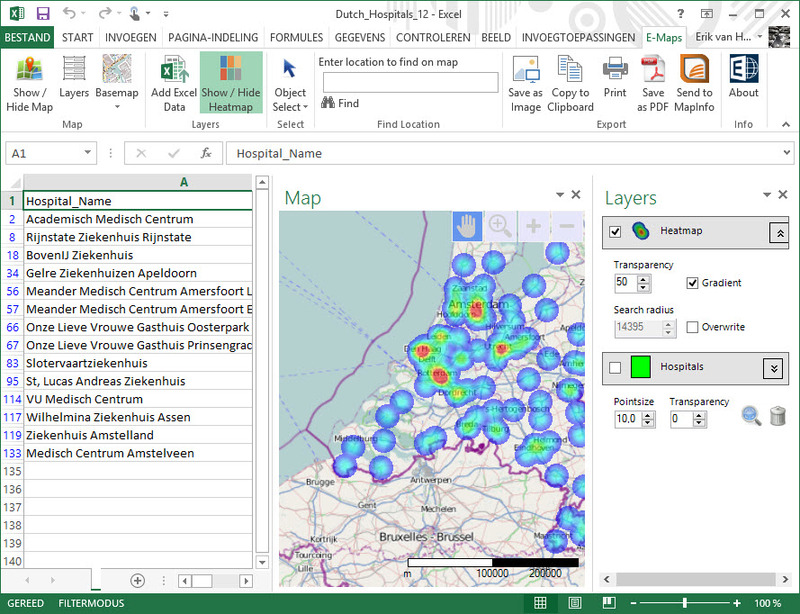 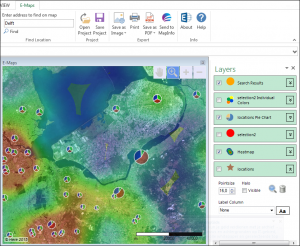 In Excel E-Maps users can adjust the search radius for heatmaps. 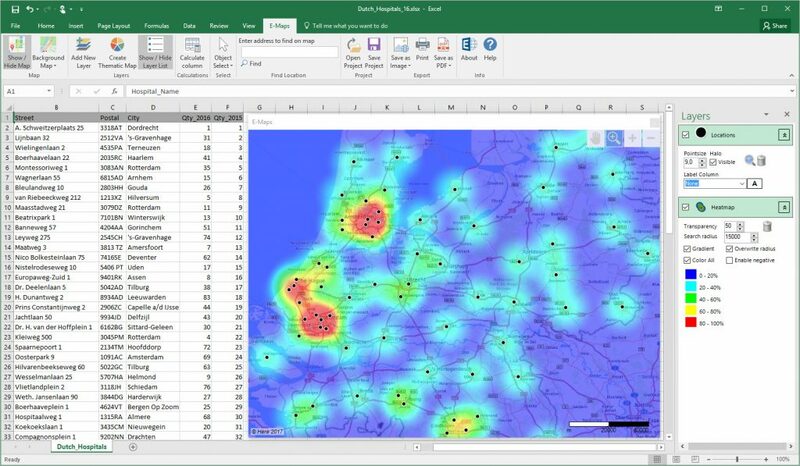 Points can be displayed on top of the heatmap and the option for gradient heatmaps didn’t change too.